SHG Paris is a top school in France in Hospitality. Our goal is to prepare students to become the best leaders in the Hospitality & Tourism industries thanks to our Swiss experience in education and in hotel management. SHG Paris is combining academic courses with professional training and internships in luxury hotels. 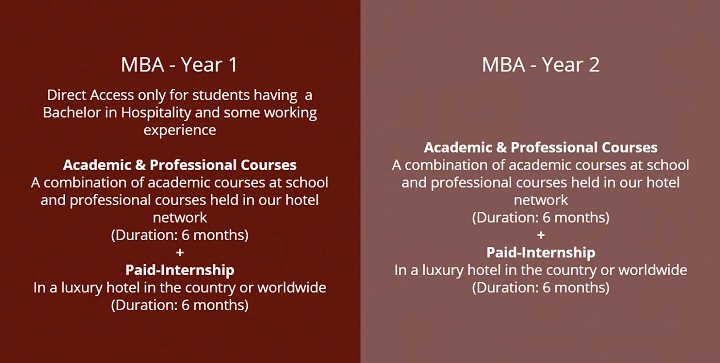 Thanks to this concept, our graduates are assured to obtain management positions offers in many countries worldwide. Courses are available in English. In case of difficulties, SHG Paris gives extra lessons to students who need some help. Courses are from Monday to Friday at our campus in Paris. We train students to get skills and working experiences in every department in a hotel. The students practice in all departments 1 by 1 and must come back to some departments several times to improve their skills. There are 4 main departments: Restaurant Service, Culinary, Administration and Room Division. Restaurant Service: It includes Fine-Dining Restaurants, Traditional Restaurants, Bar, Room-Service, Catering Service, Banqueting Service. Room Division: It includes Housekeeping, Front Desk, Guest Services, etc. Administration: It includes Sales, Marketing, HR, Finance, etc. For MBA students, we focus more on the Administration Department, however, students must know other departments as well to be respected leaders. Our students have real working experience in practicing and learning in real hotels. 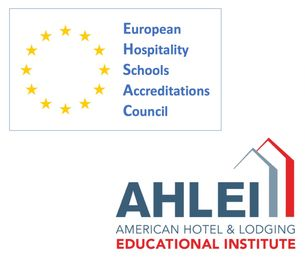 All our partner hotels in Paris are luxury hotels, therefore our students learn with the highest standards. In each of the 2-year curriculum, students must go through a paid internship over a 6-month period. The remuneration depends on the country in which the hotel is located and may include accommodation and meals. In all cases, the hotels proposed by SHG Paris are always in the 4* or 5* category. Thus, SHG Paris takes care of all necessary arrangements. Transportation expenses to the internship destination are usually born by students. Bachelor Degree in Hospitality or Foundation Year in case of no experience in Hospitality and another type of Bachelor Degree. Tuitions fees: EUR 11500 / Year (Yearly Payment) or EUR 1080 / Month (Monthly Payment). Additional fees may apply.